With an increasing number of thefts and burglaries, the need to fortify home security has become very important. Everyone love to live only in a safe and secure environment, but no space is completely secure nowadays. So it is our duty to provide an enhanced security system to our house. When you get a professional help from a reliable locksmith firm, you can stay assured about the security. Master Locksmith Store is such a locksmith agency in Pittsburgh, PA that has been the name that people trust for all their commercial and residential locksmithing needs. We offer 24/7 emergency locksmith services to people in Pittsburgh, PA for the past 10 years. We know a lockout or a lock repair can happen any time of the day and hence require a residential locksmith immediately. You might need to replace locks in the middle of the night due to a break-in or need duplicate keys in the early morning after you return from vacation with no keys in hand. Call us anytime and we will reach you in minutes. Though you wish to provide enhanced security to your home, you may overlook the security system owing to your busy work and tiring schedule. But with Master Locksmith Store all your worries are at bay, as our security experts are available all the time to take care of your home security. 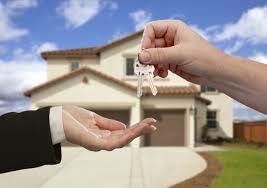 Call our residential locksmiths today and we will get you the best locks and key to your home. Locks are the most used yet the most neglected things in any home. You will never turn head towards it unless it stops working. It may be damaged due to bad weather, or may not turn the keys as usual, or may be the victim of the last night break-in. Whatever be the reason for its repair, our professional residential locksmith can easily handle it either repair it for you, rekey it or replace it with a whole new lock if the damage is too high to withstand any lockpicking attempts. Losing key or misplacing it and fumbling around in search of it is not something new to anyone of you. But that is not the end of the world. You can get help from residential locksmiths like Master Locksmith Store, who will get you a spare set of key, unlock the door without damage, or rekey the locks if necessary. We can make all types of keys exactly to ease your work. Call 412-387-9476 to hire a residential locksmith in Pittsburgh, PA today!